Low quantity, high quality… guess you cant have everything! Another big addition to the process this year is our brand-new SORTING TABLE! 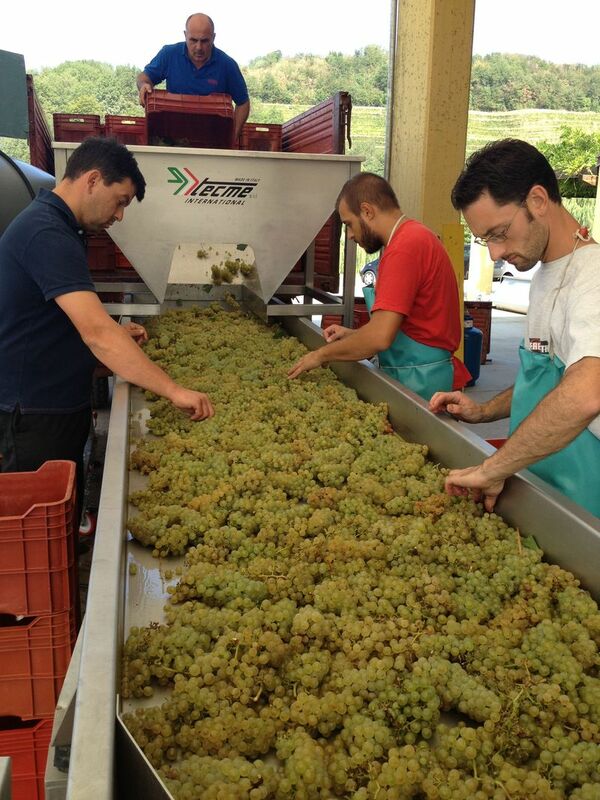 This is some fantastic Chardonnay coming in and going down the sorting table. All the imperfect bunches are removed, and cleaned (if possible) or eliminated. 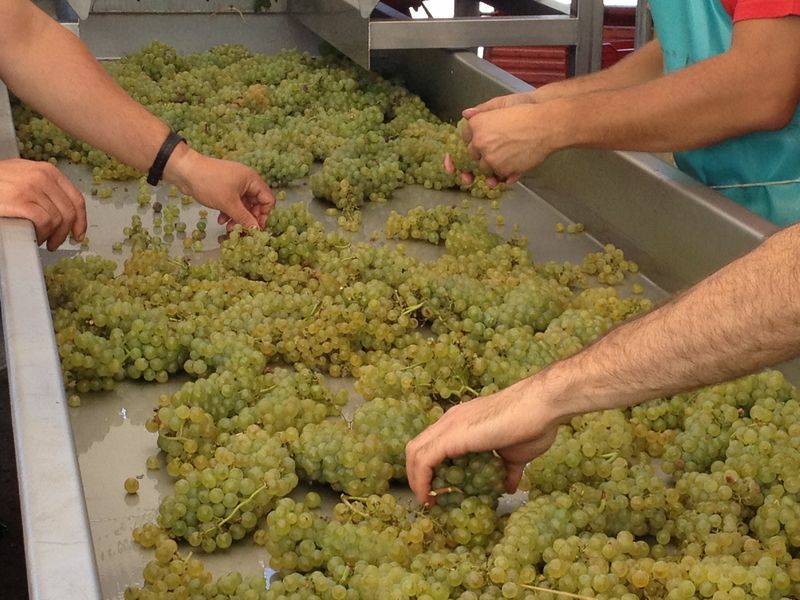 Ther are usually at least 2 people at the table making sure the grape are perfect and ONLY grapes go into the press (leaves and other “MOG” – material other than grapes – are removed). 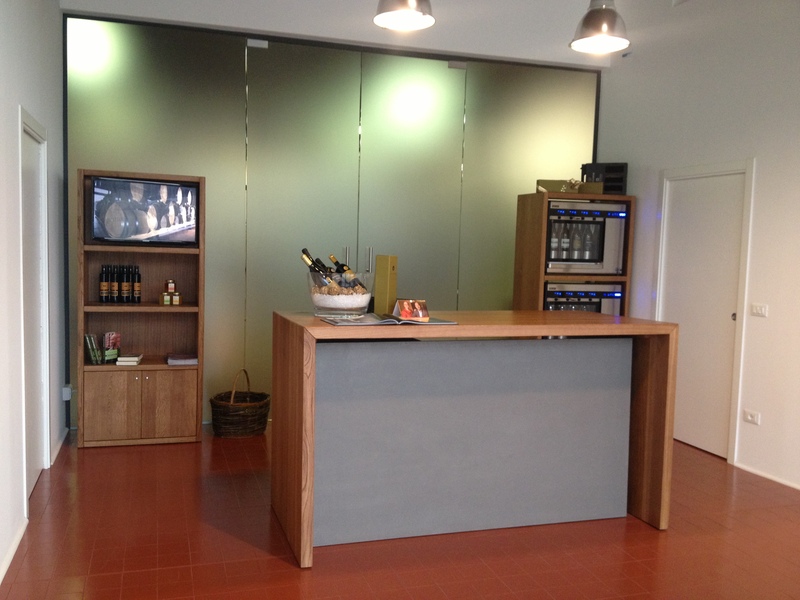 This entry was posted in Harvest and tagged Bastianich, chardonnay, winery on September 7, 2012 by bastianichwines. Gwen and Roger Pratesi from Bunkycooks blog in Friuli! Well, Welcome me back after a lovely, but too short, vacation in Istria! I wanted to Immediately bring everyone’s attention to the first in a series of blog posts by Gwen and Roger Pratesi at BUNKYCOOKS.COM. I had the distinct pleasure of spending a lot of time with Roger and Gwen here in Friuli and am really honored by their mention on their James Beard Award-Nominated blog. It’s always a blast showing folks around Friuli, my adopted home, and introduce them to the food and wines and people of this area. Rarely, though, does a writer manage to transmit the soul of a place a well as Gwen has in this first post. 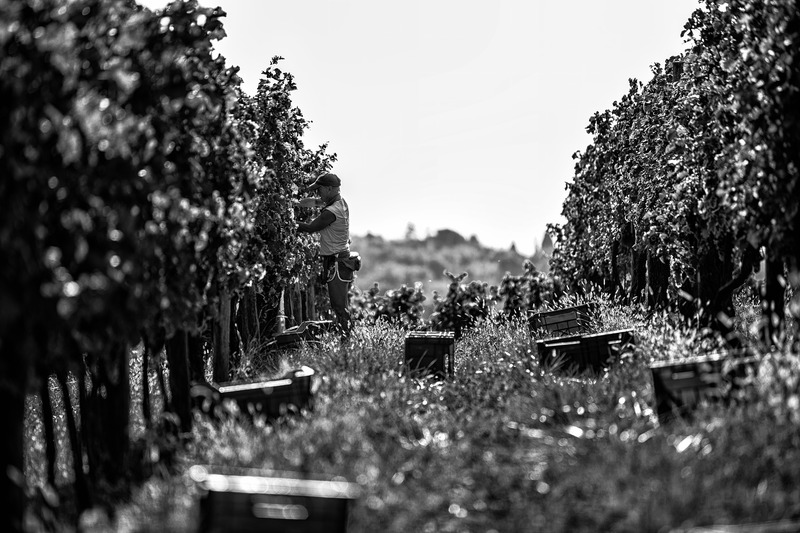 I hope you’ll all go check it out HERE and stay tuned for more from Gwen and Roger about their Friuli tour… Next up I believe is Roger’s take on the wines of Bastianich, as well as Moschioni and Ronchi di Cialla.. Don’t miss it! THANK YOU SO MUCH GWEN AND ROGER! 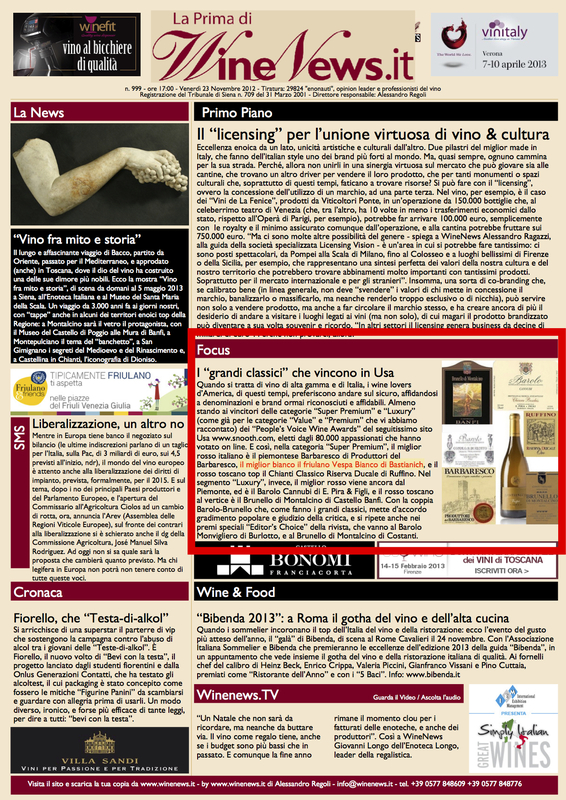 This entry was posted in Visitors and tagged Bastianich, bloggers, visitors, winery on August 21, 2012 by bastianichwines.